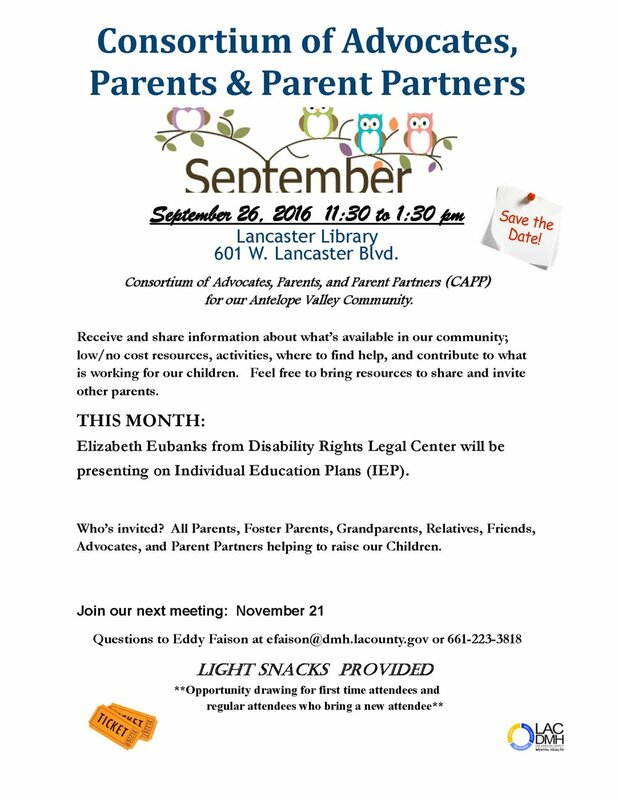 Disability Rights Legal Center attorney, Elizabeth Eubanks, will be presenting at the Consortium of Advocates, Parents, & Parent Partners on Monday, September 26, at 11:30 a.m. at the Lancaster Library. She will be sharing information and answering questions related to special education rights and responsibilities. Space is still available! We recommend this informative evening to any parent or caregiver interested in finding out more about Individual Education Plans (IEP).